The aquarium air pump is a beneficial (but often overlooked) piece of equipment. 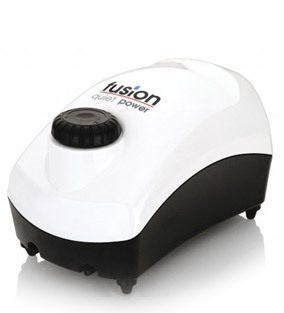 It provides good aeration and causes surface water movement – both of which are essential for a healthy fish tank. Additionally, some aquarium equipment (like protein skimmers or undergravel filters) requires a fish tank pump to be able to work – and their performance is directly affected by the performance of the pump. After extensive research, we reveal our top 5 best aquarium air pumps which deliver the best quality and performance. The best performers in our review are the Tetra Whisper, VicTsing, and the Fluval Q1 aquarium air pump. Here’s more information on choosing the right aquarium air pump for you, along with a detailed review for each product we chose. An aquarium air pump works by collecting air from the atmosphere and forcing it into the tank, creating a stream of bubbles. The bubbles travel upwards, where they disturb the water surface, which in turn helps release more oxygen into the water. 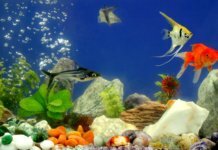 However, in particularly large or deep aquariums, a lot of force is lost by the time that the bubbles reach the surface, resulting in less oxygen for your fish. Nobody enjoys an aquarium pump that likes to remind everyone that it’s there. Unfortunately, a lot of pumps you’ll find on the market are noisy, ranging from tolerable to ear-piercing. 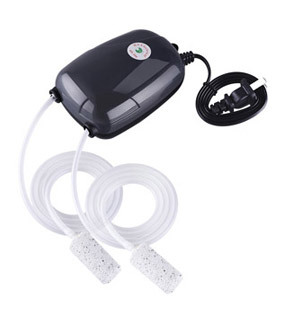 The best aquarium air pumps should be silent – or as close to it as possible. Many pumps that we’ve owned over the years got noisier and less powerful over time – some would even break down completely after just a few months of use. While all air pumps will seem cheap when compared to, say, a canister filter, there’s an obvious difference in quality as you try different brands and models. We liked: Extremely powerful. 5 year limited warranty. 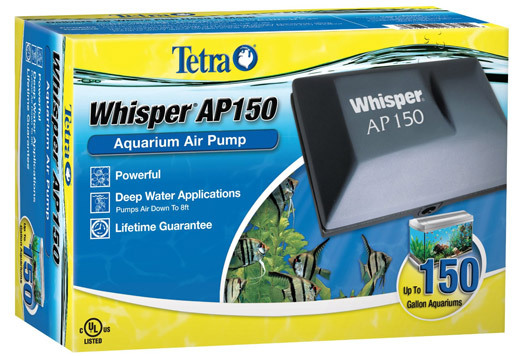 A proper heavyweight, this aquarium air pump is the most powerful member of Tetra’s extensive catalog. With a volume range extending up to a whopping 150 gallons, it’s ideal for deep, large aquariums that require a lot pressure to get the bubbles to the surface. It can be used in tanks that are up to 8 feet deep, and easily powers multiple air stones (or protein skimmers if you own a saltwater aquarium). Despite its incredible power, we found it to be surprisingly silent. 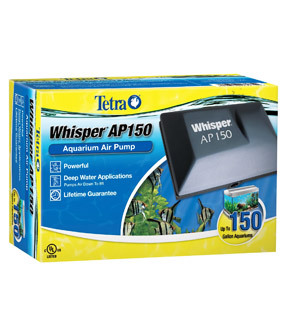 Additionally, Tetra’s Deep Water air pump can also be found in a size tailored to 300 gallon aquariums. If you own a particularly large aquarium, and simply can’t find an air pump that has enough power, this product is a good choice. We found it to be a bit pricey when compared to the competition – but the long list of functions and that sweet warranty ensure that it provides great value for the money. We liked: Two air stones included. Can aerate two aquariums at the same time. The VicTsing Ultra Silent Air Pump seems to deliver on its promise of providing high performance while maintaining low noise levels – two of our most important criteria. Its design stands out in an ocean of fish tank pumps — lightweight, unique and simple. The VicTsing Ultra comes with the entire package — two air stones, a pump, and a 2m silicone tube, providing a nice bang for your buck. 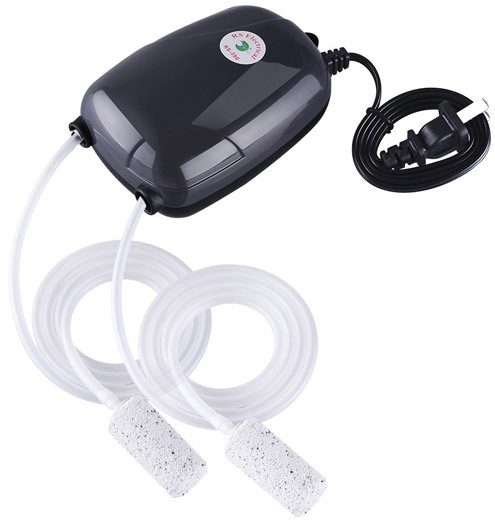 Additionally, this aquarium air pump has two vents, allowing you to use it on two fish tanks simultaneously. The valves allow you to adjust the air displacement. The biggest flaw with this fish tank pump is its output; while it has enough power for small and medium-sized aquariums, we wouldn’t recommend the VicTsing for larger tanks. If you own a particularly large aquarium, we would recommend the Fluval Q series instead. We liked: Thick construction and the muffling chamber help reduce pump noise. 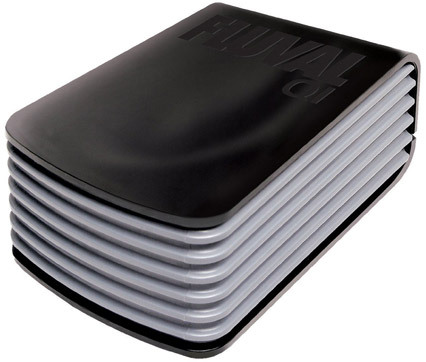 Like the majority of Fluval’s products, the Fluval Q1 is very well-designed. We found that this aquarium air pump makes little noise, thanks to its thick, double-walled construction and a noise-muffling chamber. The advanced diaphragm design ensures even and consistent airflow. We were pleased with its performance; it seems to operate reliably and without a hitch. 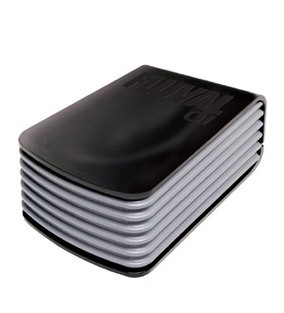 The Fluval Q1 is suitable for aquariums with volumes up to 80 gallons. If you own an aquarium between 80 and 160 gallons, you should probably opt for the stronger Fluval Q2 instead. We liked: Dome-shaped case flattens sound and helps reduce noise. Over the years, after handling quite a few fish tank pumps, we’ve come to the following conclusion: An aquarium pump which makes absolutely no noise doesn’t exist. However, the Tetra Whisper comes close; it’s powerful, but unobtrusive. The dome-shaped case seems to flatten sound, and prevents it from reflecting off of other surfaces. 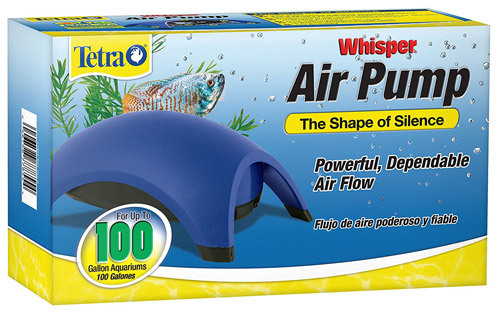 This aquarium air pump is basically the smaller sibling of Tetra’s “Deep Water” Whisper. While it doesn’t have the power of its big brother, it still offers plenty of aeration for most aquariums. This aquarium pump can be found in several sizes, which cover both small tanks, and larger tanks up to 100 gallons. 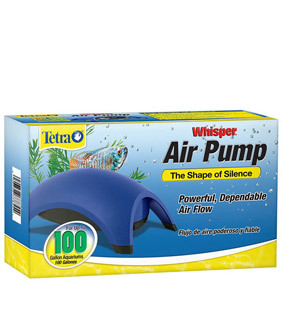 Compared to many other aquarium air pumps, the Tetra Whisper is very reasonably priced. Still, don’t let the economical price fool you – it’s as efficient as they come. We liked: Can power up to 15 air stones. Pressurized air pocket absorbs noise. This fish tank pump has quite a lot going for it, the most notable feature being its unique fusion baffle system. Its pressurized pocket of air acts absorbs sound, effectively reducing the noise output of the pump. While it doesn’t make the pump completely silent, the system appears to be working; we found that this aquarium air pump is less noisy than many other ones that we’ve used over the years. 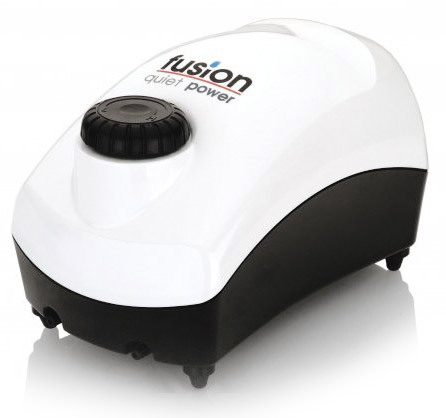 The Fusion Air Pump also comes with a knob which allows you to regulate the airflow. It can also power up to 15 air stones (or air operated filters), which is useful if you own multiple small tanks. Unfortunately, we found that it doesn’t offer the same performance as some fish tank pumps we’ve reviewed. The construction seems frail. The output may not be powerful enough to provide aeration for large aquariums; we wouldn’t recommend this aquarium pump if you own a fish tank over 75 gallons. Still, the price doesn’t suggest otherwise, and the Fusion 700 offers good value for the money.